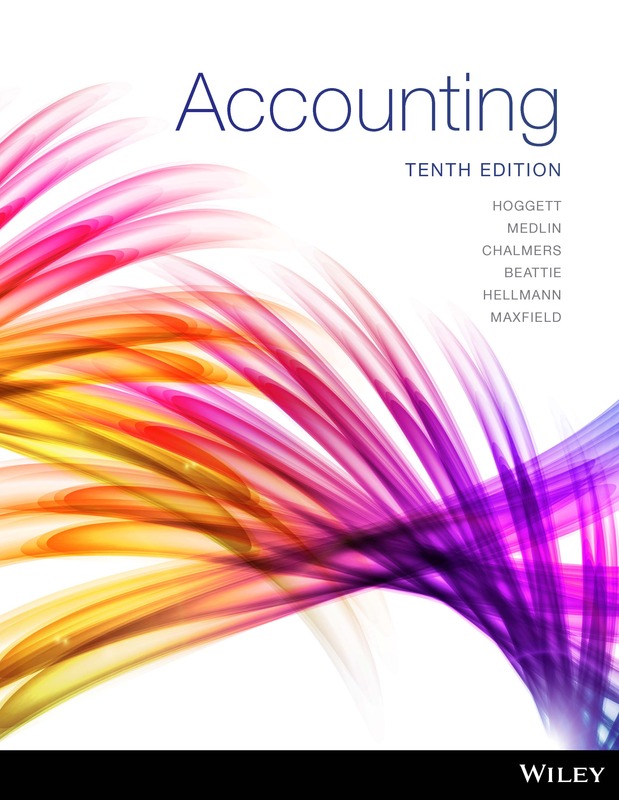 The tenth edition of Accounting (Hoggett et al.) provides an introductory but comprehensive description of the purpose, practice and process of contemporary international financial and management accounting in an Australian context. With the increased emphasis on the globalisation of business, the material is ideal for the study of introductory accounting in a broad international context. The tenth edition builds on the strengths of previous editions with a strong focus on the decision-making role of accounting, as well as on a student’s acquisition of generic skills such as communication, analytical, problem solving, critical thinking and judgement skills. The technical skills required in the application of accounting concepts still remain a core objective of the new edition. Hoggett’s 10th edition builds upon previous editions technical skills with a strong focus on decision-making. 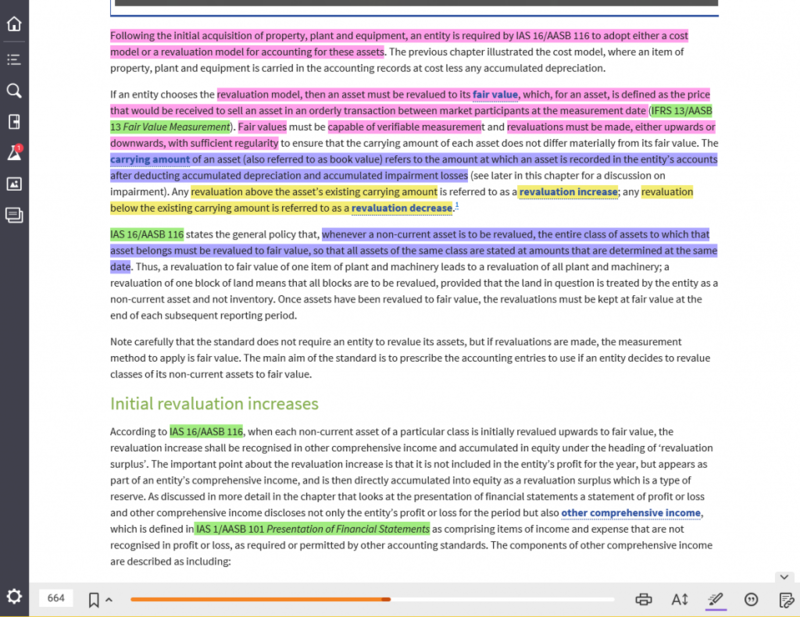 Demo problems, interactive questions and other rich media are embedded throughout the text. Revision materials are integrated throughout to help students engage with, understand and retain course concepts. 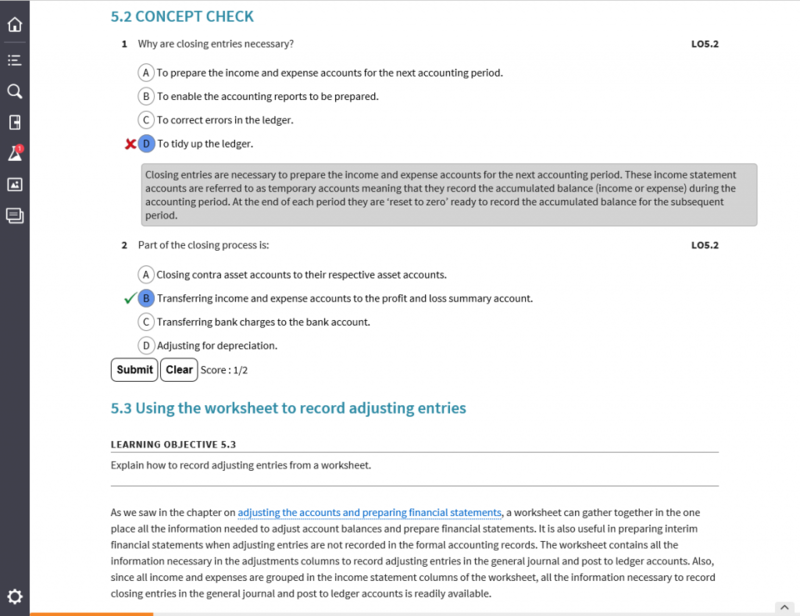 A full colour printed textbook with an interactive eBook code brings accounting to life and provides students with a rich and engaging active learning experience. Students can test their comprehension and get instant feedback with interactive Concept Check questions, embedded at the point of learning. John Hoggett, BCom (Hons), BTh, MFM (Qld), AAUQ, FCPA, has taught accounting at several different universities in Western Australia and Queensland during his 40 years as an academic. He has taught introductory accounting, corporate accounting and accounting theory to undergraduate and postgraduate students, and written books and monographs for a variety of organisations including CPA Australia and the Group of 100. He was also involved in secondary accounting education for several years with the Curriculum Council of Western Australia. 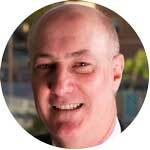 Dr John Medlin, PhD (UniSA), BEc (Adelaide), MEc (UNE), FCA, is an Associate Professor in the School of Commerce at the University of South Australia. 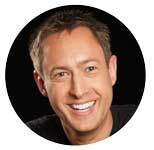 John began his career with Ernst & Whinney (now Ernst & Young) in the early 1980s. After a few years of practical experience, John moved to accounting education where he has lectured in financial accounting, accounting theory, management accounting, economics and business finance. From 1998 until 2010, John coordinated a general first-year accounting subject with an enrolment in excess of 1000 students each year, 80% of whom were non-accounting majors. Since 2010, John has coordinated a second-year financial accounting subject. He has been recognised with teaching awards from the University of South Australia. His research interest is in the area of accounting education, where he has presented conference papers and been published. Keryn Chalmers, BCom, Grad Dipl, PhD, is the Dean of the Swinburne Business School at the Swinburne University of Technology. Prior to this, Keryn was a Professor of Accounting and Deputy Dean (external and international) in the Faculty of Business and Economics at Monash University. 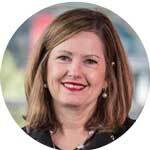 Prior to this, Keryn was head of the Department of Accounting and Finance at Monash University. During her academic career, she has been responsible for accounting-related curriculum development, quality assurance and delivery at the undergraduate and postgraduate level. Keryn is an active researcher in the financial accounting and financial reporting area, specifically in relation to accounting policy and disclosure choices of management. Andreas Hellmann, PhD (Macquarie), MIB (Macquarie), Diplom-Betriebswirt (Darmstadt), CA, is a senior lecturer in the Department of Accounting and Corporate Governance at Macquarie University. He has extensive teaching experience in both undergraduate and postgraduate units. His main teaching areas are financial and international accounting with a focus on developing a passion for life-long learning and critical thinking. His research program adopts a multi-disciplinary approach to provide theoretical, methodological and empirical evidence on ways of enhancing the comparability and quality of accounting information for decision-making purposes. His scholarly work is widely published in journals, edited collections and research monographs. Claire Beattie, BCom (1st Class Honours), PhD, is a lecturer in the School of Commerce at the University of Southern Queensland. Before becoming an accounting academic, Claire worked in New Zealand as a management accountant in the manufacturing sector. Claire has taught both financial and management accounting courses at universities in Australia and New Zealand, including the University of Melbourne, University of Canterbury and Massey University. Over the past twelve years, Claire has coordinated the undergraduate and postgraduate management accounting courses at the University of Southern Queensland. Claire’s research interests include the practice of performance measurement and the role and impact of management accounting in non-traditional environments and accounting education. 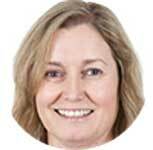 Jodie Maxfield, BBus (Monash), Grad Dip Tax (UCQ), MEc (UNE), is an accounting lecturer at James Cook University (JCU). An early adopter of learning technologies, Jodie is known for her innovative and engaging educational practice. She has taught across all year levels of the undergraduate accounting major and is the first year accounting coordinator in the Bachelor of Business at JCU. Jodie is passionate about accounting and has a reputation at JCU for developing teaching and learning strategies that engage and enhance the student experience. Her innovative approach to the development of digital learning objects situates learning and assists students with achieving positive learning outcomes. She has been recognised with teaching awards from JCU and Monash University. 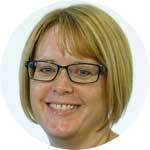 Jodie’s research interests are in accounting education and financial accounting. 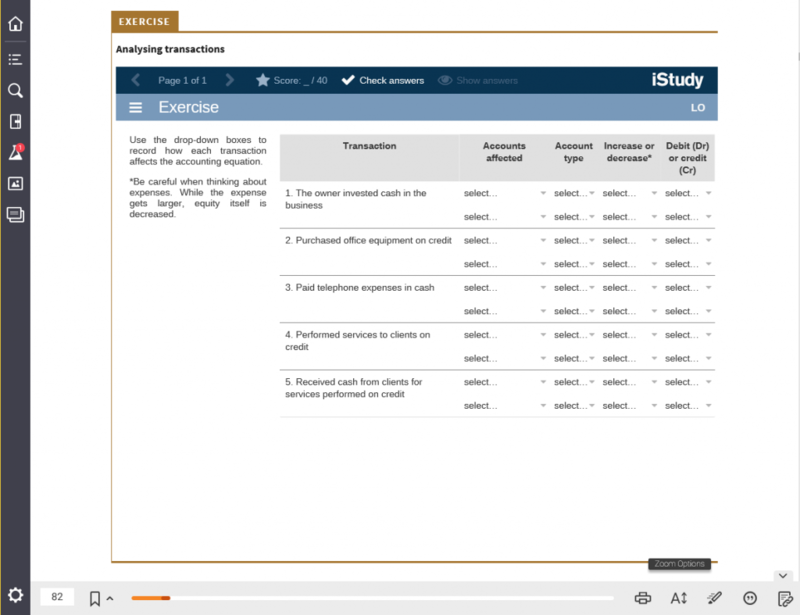 Students can purchase their textbook with interactive eBook code from Wiley Direct: Accounting, 10th Edition (Hoggett et al. ).